04.03.2015. London, England. Barclays Premier League. Tottenham Hotspur versus Swansea City. 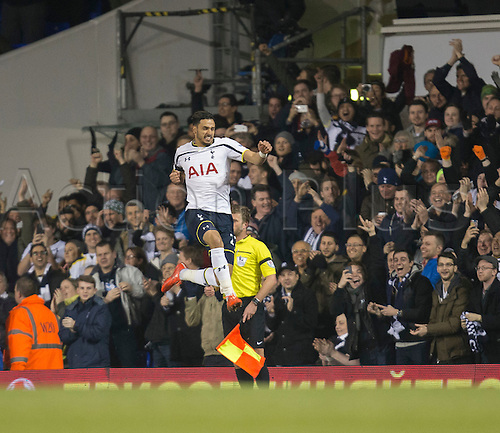 Tottenham Hotspur's Nacer Chadli celebrates his early goal.